If you’re a fan and die hard addict of Microsoft Windows Vista, plus Microsoft’s co-founder, former chief software architect, and former chief executive officer Bill Gates, then you may want to take a look at special limited numbered edition of Windows Vista Ultimate Upgrade edition. What’s so special and limited? Yes, Bill Gates’s signature. 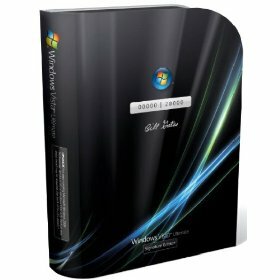 Each of the limited numbered edition of the Windows Vista Ultimate Upgrade edition will be signed by Bill Gates on the front of the retail box of Microsoft Windows Vista Ultimate Upgrade DVD Signature Edition. The special limited edition of Windows Vista Ultimate Upgrade edition costs $259, and will be available from January 30, 2007, in conjunction with official launch date of Windows Vista from Amazon . Above the signature of Bill Gates, there is a running number too to ensure that the copy you get is genuine and limited in circulation. Amazon also offers pre-order price guarantee that if the Amazon price decreases between your order time and release date, you’ll receive the lowest price. Unfortunately, Amazon will only ship the this special edition of Windows Vista to U.S address. As it’s a upgrade edition of Windows Vista, you will need an existing genuine copy of Windows XP to make use it, such as Windows Vista / XP Professional / XP Home Edition and Microsoft XP Media Center Edition.